It’s been eleven years since Palmeiras last played a game in Europe: a friendly against Italian team Val d’Aosta. In 2011, the Verdão once again returns to the Old Continent, as Palmeiras have agreed to participate in two international friendlies, both in Spain and happening at official FIFA dates. Palmeiras’ director of football Wlademir Pescarmona and two advisors recently returned from Spain with the good news. “The Spaniards have great admiration for Palmeiras and remember well the great Palmeiras squads that visited Europe in the past, especially those who won the three Ramón de Carranza tournament titles” says Pescarmona. The first match, scheduled for March 29, will be against either Betis or Mallorca. Two days later, Palmeiras confront Espanyol in Barcelona. The team should embark for Europe on the 26th of March and return to Brazil on April 1st. The Ramón de Carranza Trophy (Spanish: Trofeo Ramón de Carranza) is a pre-season football tournament organised by Cádiz CF, in memory of their former president, Ramón de Carranza – after whom their stadium is named as well. The tournament has been played annually in August since 1955 and is one of the most prestigious summer tournaments in Spain, alongside the Teresa Herrera Trophy. Palmeiras excelled in the Ramón de Carranza editions of 1969, 1974 and 1975. 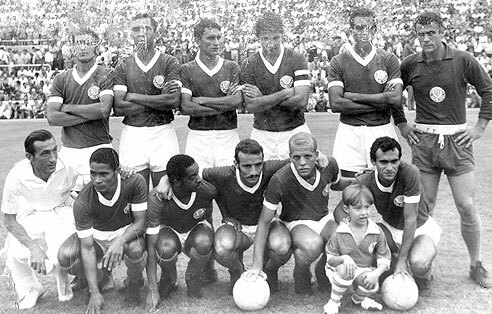 The 1969 starting lineup of champions (pictured to the right) consisted of Eurico, Minuca, Zé Carlos, Baldocchi, Dé and Chicão; (Osmar – masseur) Copeu, Jaime, Cardoso, Ademir da Guia and Serginho.